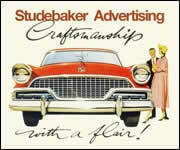 A decade before the Avanti, Studebaker hired Raymond Loewy to design the 1953-1954 Studebakers. 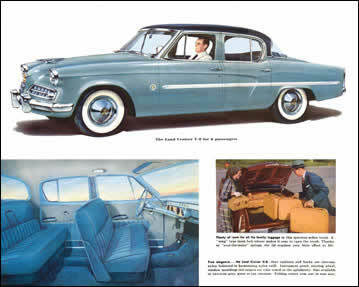 Along with 2-door and 4-door sedans and other models these included the Starliner Hardtop and Starlight Coupe. Landmark American styling by Robert E. Bourke (who also designed the "bullet nose" cars for Raymond Loewy Associates) distinguished the two “Loewy Coupes.” The Studebaker Commander Starliner Hardtop is the V-8 version of the design. The Champions were powered by Studebaker's 169.6-cu. in. flathead straight-six engine. The Champion Starlight Coupe models are similar to the Commander Starliner Hardtop but the Starlight is a coupe with a center (B) pillar and the Starliner is a true hardtop. 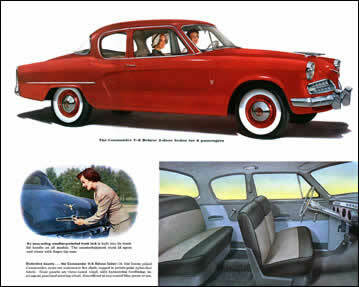 The 1954 Studebaker 2-Door Sedan. 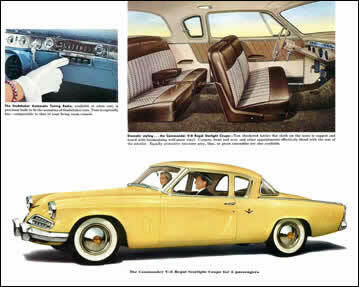 The 1954 Studebaker Starlight Coupe. 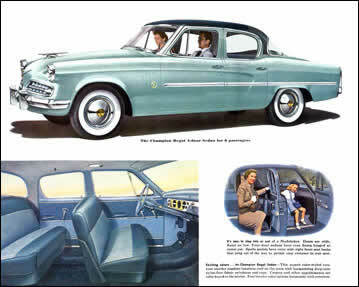 The 1954 Studebaker 4-Door Sedan. The 1954 Studebaker Land Cruiser.